Want to welcome migrants into your community through English language? We can help! We offer training and ongoing support to all new groups. Not ready to set up your own group? Why not volunteer as a tutor instead? 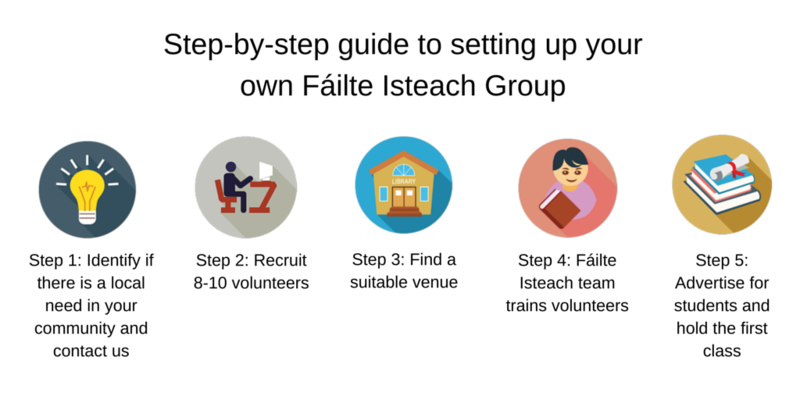 We have 113 groups across Ireland so get in touch with your local class.